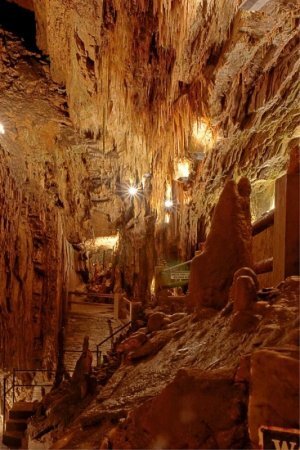 The tour through Smoke Hole Caverns averages 45 min to 1 hour and is easy walking for all ages. How often are the tours? What is the walking distance? The Smoke Hole Caverns tour is approximately 2/3 of mile. How Much time should I plan to spend at Smoke Hole Caverns? Minimum time spent at Smoke Hole Caverns is 2 hours. Be sure to allow extra time to visit the Trout Pond at the log cabin resort property, allow children to participate in the Gemstone Mining, enjoy a snack in the Cavern Café and browse around the Smoke Hole Caverns top rated gift shop, and view our new Wildlife Display. Is parking available for my RV, Trailer, Motorcoach, Semi, or similar vehicle? We do have limited parking available for large vehicles. Upon arrival it is good to notify us and we will direct you to the appropriate place to park. Because these spaces are limited, we recommend arriving before 11am or after 3pm. 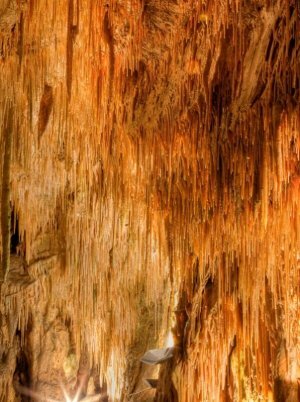 What happens if it rains the day I plan to visit Smoke Hole Caverns? No problem! Due to its location, weather is not a factor at Smoke Hole Caverns. We are your destination where it never rains! In fact, rain actually enhances the tour by increasing the volume of water in the cave. We are a great place to stop if in the area to shop, tour the caverns, or grab a snack if in the area as most of the area attractions are outdoors. One limitation is our Gemstone Mining which is located directly outside, but is still useable if you bring your rain jacket or just choose to dig in! When is the best time to visit Smoke Hole Caverns? Although the wait time is usually minimal for the Smoke Hole Caverns tour, mornings and late afternoons tend to be less crowded. Is Smoke Hole Caverns a guided tour or can I go at my own pace? All tours through the cavern are guided. The Smoke Hole Caverns tour has a graveled pathway accessible to all ages with one major flight of stairs going up and two major flights of stairs coming down. Likewise there are areas which have a few steps here and there. Comfortable shoes are recommended. Although the total walk is under a mile, the graveled pathways are uneven in some places. The temperature in the cavern is a pleasant 56 degrees year round, so major bundling up is not necessary. However, a light jacket or sweatshirt is recommended. Can we take food and drinks with us into the cave? Only plain water, please. Eating and drinking anything but water is not allowed in the cavern. You may eat and drink in on our front porch of the gift shop, inside, or the picnic area where you will find a snack bar, restrooms, and drinking fountains. What other items are not permitted in the cave? Walking sticks, baby strollers and pets (except for service dogs) are not permitted in the cave. What is it like in the cave? 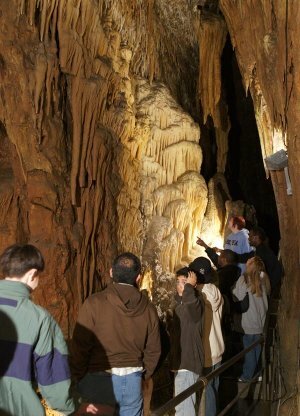 Smoke Hole Caverns is 56°F (13°C) year round, so a light jacket or long-sleeved shirt is recommended. The walkways, stairs, and cavern features are electrically lit. The cave is very humid, bring your inhaler if you use one. Yes, bats are safe. They do NOT attack people. Usually, people hurt bats through loss of habitat, pesticide use, or fearful acts due to misunderstanding. Bats do much good worldwide, like eating insects and pollinating flowers. Still, as with any wild animal, you should not touch a bat. If a bat is within reach and doesn't fly away, it could be hurt or sick. It is best to leave it alone since it could try to bite as a defense. How accessible are the caverns? The Smoke Hole Caverns gift shop is handicap accessible. Regretfully the cavern tour is not accessible due to stairs, two way traffic, and a few narrow passage ways. Are child carriers or strollers allowed? Strollers are not permitted on the cavern tour, but we do recommend carriers for small infants. Cats and dogs are permitted as long as they are small enough to carry. Special considerations are taken for service animals. May we bring cameras or video recorders? Both cameras and video recorders are permitted on the Smoke Hole Cavern tour. During your tour you will have several opportunities to record the unique wonders of mother nature. Cafe style seating, front porch seating, and an outside picnic area are available at our Food Court to cater to your hungers needs. We offer a small menu of Hunt’s Brother’s Pizza, Chili Dogs, Taco Salads, Hershey’s Ice cream, Cinnamon Roasted Nuts, Popcorn, and Drinks. 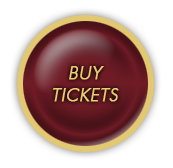 Also, we are located 5 minutes from the local town of Petersburg where there are many opportunities for dining. Ask us about catering for your large group! Do you offer souvenirs or gifts? We run the largest souvenir and gift shop in West Virginia where we offer something for everyone. Of course, you will find the traditional souvenir mugs and magnets. But the most unusual and tasteful merchandise is located in the Potomac Highland Shopping Area. See our online gift store to get an idea of the kind of merchandise available.